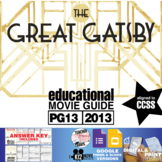 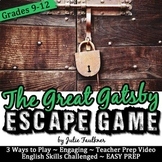 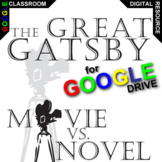 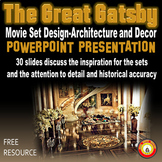 This is a guide for helping students process the newer Great Gatsby movie. 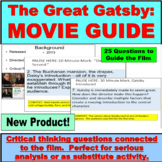 This is also beneficial for students who don't read the book to still have a chance to understand the major moments & themes of the novel through watching & studying the film. 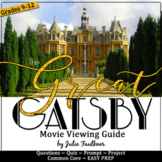 This guide is based off the 1974 version with Redford, Farrow, and Waterston. 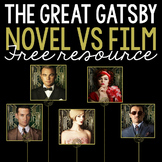 It would make a great crossover English/History lesson for students who are reading the novel at the same time. 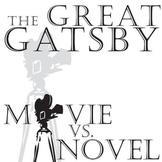 The focus here is to examine attitudes of The Lost Generation. 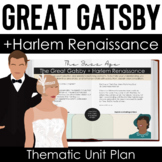 This is a worksheet that students can complete during or after watching a movie version of the Great Gatsby to compare it to the book. 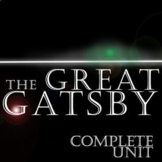 This is general enough to be used with any version of Gatsby, not just the Leonardo DiCaprio version that just came out.